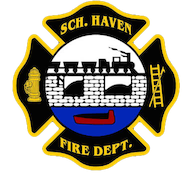 All three Schuylkill Haven stations were dispatched to 302 Randel Street, North Manheim Twp. (St. Ambrose School) for an automatic fire alarm. Duty Chief 722 (Sattizahn) arrived on scene and investigated and found out that there was a faulty alarm. Chief Sattizahn cleared himself and all Haven units. Time out- 10 mins. June 29, 2008- MVA – North Manheim Twp. At 20:12 Schuylkill Haven Fire Dept. R.I.T. (rapid intervention team) was dispatched to 623 West Race Street, Pottsville City, to assist Pottsville on a working structure fire. Once R.I.T. arrived on scene Pottsville command had them stage outside near the fire building. Luckily, the team was not used, and city units handled the call. Total time out for R.I.T. was about an hour and a half.